My Column Opposing The "Marsy's Law" Initiative In South Dakota, Followed By A Response From Jason Glodt, Who Heads Up The Campaign Supporting it. loaded with unintended consequences, so much so that the South Dakota Bar Association unequivocally said "no" to it at its business meeting last June. Officially called "An Amendment To The SD Constitution To Expand Rights For Crime Victims," the proposal would expand, codify and place those rights into our state Constitution. Identical measures, all of them bankrolled by California software billionaire Harry T. Nicholas, whose sister was murdered in 1983, will appear on Montana and North Dakota ballots this year. Nicholas has had some success with this endeavor, Marsy's Law having been adopted by voters in California and Illinois. A 19-item list of the rights proposed by the amendment here in S.D. can be viewed by visiting the Secretary of State's website. In general, the list guarantees that crime victims can be more involved in the criminal-justice process applied to their alleged assailants. On the surface that seems like a good thing to me, but the details make for complications that I don't think we need here in South Dakota. I've asked Jason Glodt, the Pierre lawyer who heads up the amendment's campaign, to provide me with some specifics on how existing victims' rights protections have fallen short in our state, but I haven't heard back from him as I write this. When he replies, I'll make note in my blog and provide RCJ editors with the information. Meantime, former S.D. Attorney General Mark Meierhenry has said that "this is truly an idea chasing a problem that we don't have here in our state." Minnehaha State's Attorney Aaron McGowan adds that Marsy's Law would require state's attorneys and victims' advocates to "spend more time with victims of petty crimes" at the expense of "those affected by more serious crimes." North Dakota attorney Chad Nodland calls attention to one of the potential fiascos created by the law's requirement that the victim be present (or given the opportunity to be present) at all proceedings involving the accused's disposition after the alleged crime. Considering that a property crime can be committed while the victim is away, that means the accused has to wait in jail for the victim to be identified, located and physically brought to the proceeding that will release the accused. Short of specifics, I can't say whether victims' rights in South Dakota need shoring up, but I'm doubtful. The S.D. Bar Association's opposition to this notes that existing statutes already cover victims' rights. Given the phalanx of professionals who oppose this amendment along with my general reluctance to embed our Constitution with a law that has as wide a net as this one, I'm dubious about Marsy's Law and will vote against Amendment S.
Hello John, every year thousands of South Dakotan crime victims are denied basic victim rights because they are not recognized as “victims” under the legal definition in current codified law. For example, all victims of vehicular homicide, burglary (2nd and 3rd degree, arson, grand theft, misdemeanor sexual assault, hate crimes and forms of human trafficking are not recognized as “victims” and have no rights under current law other than limited rights to restitution. These victims won’t even get access to the State’s new Statewide Automated Victim Information and Notification (SAVIN) system that would at least give them notification for when hearings are scheduled or when offenders are released from custody. It is remarkable that our state doesn’t offer this basic service. We are one of the last five states in the nation if implement such an automated notification system and now that we finally have it coming online, it won’t even be available to most victims of crime. A local story you may have heard about is the case of Jaqoine Ramos…who killed his pregnant girlfriend, Debbie Jo Martinez, in front of her kids in Rapid City. He was convicted of manslaughter and sentenced to life in prison with no chance of parole, however, his sentence was commuted by Governor Rounds to life in prison with chance of parole. Through the entire process, no family members were given notification about appeals or hearings. The current system failed them at multiple levels. Even through current statutory law required notification and multiple times, the law was ignored multiple times. Ramos had several Supreme Court appeals and UJS never notified any of the family members. When the parole board held a hearing to consider his commutation application, DOC never notified any of the family members (which is very significant, because if the family knew he was trying to get a commutation, they would have attended the hearing to oppose…but since they didn’t know about it and didn’t show up, the parole board logically assumed there was no objection…and thus they recommended a commutation to the Governor). Thereafter, Governor Rounds issued a sentence commutation and nobody in his administration notified the family. The family learned about it in the news after the fact and the Governor couldn’t retract his commutation. Now, Ramos is eligible for parole every 8 months and family members from multiple states drive to Springfield to testify in opposition. They lost their closure and now have to relive the horror of the crimes Ramos committed. One of Debbie Jo’s sisters live in Rapid City. His ex-wife and kids also live in Rapid City. Much of the family lives in Denver. ability to think. The Amendment ostensibly limits the ability of lenders to exceed an interest rate of 18% unless both lenders and borrowers agree to a higher rate. I don't know who came up with this doozy of misrepresentation, but I imagine the payday lending industry is hoping this effort at pulling a fast one on our state's electorate passes muster come November. I suppose the effort has come as an electoral "counter-offer" to South Dakota voters who will also be voting on another payday lending issue--Initiated Measure 21--that will absolutely cap payday lending rates at 36% if passed. Muddy as the waters have gotten on this thing, informed voters really need to concentrate on the issue in order to understand what's happening. IM 21 is an assault on the payday lending industry, probably crippling it for good because the business can't make a go of it by loaning money at 36%. 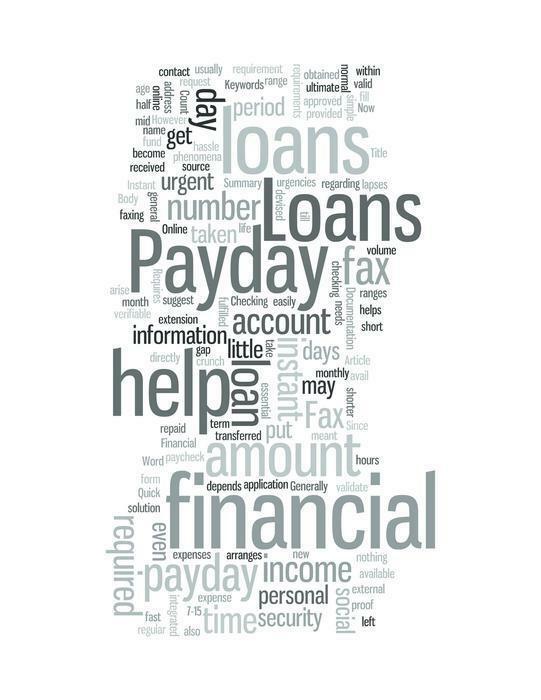 Even though I oppose IM 21 on free-market, libertarian grounds, I respect the supporters of it because they want to curb what they consider to be abusive lending practices that snare a lot of financially hurting South Dakotans into an endless cycle of rolling over payday loans. Those "rollovers" compound debt upon debt, often driving up real interests rates into triple-digit amounts. The payday lenders make their money by perpetuating that cycle, which would be ended if IM 21 passes. I think IM 21 has a real chance at succeeding, and I'm sure the industry it targets feels the same way. No doubt this has been the driver for supporters of Constitutional Amendment U, which headlines itself as a constitutionally fixed limitation on all lending at 18%. On that score it seems even harsher than IM 21's limitation of 36%, but Amendment U's 18% limit is nullified if lenders and borrowers agree to higher rates. that lending rates should hold a place in a body of law that is virtually immutable seems absurd to me, considering that interest rates are best left to the laws of supply and demand, not the law of Constitutional authority. That said, what really makes this a ludicrous proposal is that the law effectively cancels itself out by letting parties agree to any interest rate they want. If that's the case, why set a "limit" on interest rates that can be routinely ignored? Backers of Constitutional Amendment U must think that voters are dumb enough to believe they're setting a limit on interest rates by passing this laughably transparent device intended to keep the payday lending industry afloat in perpetuity. I can live with the idea of payday lending, but I'm no less disgusted by the crassness and cynicism of this measure. My Column In Today's Rapid City Journal: "Food Stamps Boost SD Economy"
I don't get the Republican rush to take the SNAP program (Supplementary Nutrition Assistance Program, aka "food stamps") away from the Farm Bill and its overseeing agency the USDA. The GOP platform this year vows "to correct a mistake made when the Food Stamp program was first created in 1964 by separating the administration of SNAP from the Department of Agriculture." The platform notes that 70 percent of all Farm Bill spending is consumed by SNAP and that during the Obama administration "nearly all the work requirements for able-bodied adults" instituted by the landmark welfare reform of 1996 "have been removed." By pulling the program away from the USDA/Farm Bill's embrace, the GOP will, of course, make it a stand-alone item in Congressional budget negotiations, where it will become the political football that the party apparently wants it to be. That bit about "able-bodied adults" is a clear enough signal that it's all about politics. As residents of a state that is economically all-in when it comes to policies affecting the agriculture sector of the American economy, we South Dakotans need to keep a wary eye on efforts to politicize a program that is used to help feed about 45 million Americans. We raise much of that food those folks are consuming. Dissing food stamps and the "able-bodied adults" that are using them makes for nice sound bytes in some political circles, but seriously cutting back on that program would be a monumental disaster for states like ours. First off, in context, the program represents an infinitesimal portion of our country's wealth. Consuming $75 billion out of a federal budget of nearly $4 trillion, SNAP spending peaked at a half-of-1 percent of GDP in 2012. It has since fallen to .4 percent and is projected by the Congressional Budget Office to return to its 1995 level of .3 percent within a decade. At his nominating convention last July, Donald Trump correctly noted that 43 million Americans are using food stamps, but ignored the fact that the number has declined from its recession peak of 48 million during the past few years. He also failed to cite what I believe is the most relevant aspect of SNAP to South Dakotans and other farm-belt residents: the program is a powerful economic engine for food production in this country. The USDA's Economic Research Service calculates that for every five dollars spent on SNAP benefits, nine dollars of economic activity is created. When the subject of splitting SNAP away from the Farm Bill came up in 2012, more than 500 farm groups, including the American Farm Bureau Federation, opposed the idea. They were joined by Forbes Magazine contributor Beth Hoffman, who at the time wrote that it is "critical to continue support of the program." Eighty percent of its recipients are children, disabled adults and elderly. The remainder are those "able-bodied" adults described by Republicans, all right, but they get limited benefits unless they can prove they're working 20 hours a week. Why Trump and his GOP cohorts believe SNAP needs to be singled out for political pinata status is their business. What it might do South Dakota's economy is ours. Rick Weiland's Guest Piece Supporting SD's Initiated Measure 22. This November, South Dakota has an opportunity to lead the nation by passing three ballots measures that will dramatically reform our politics and send a message to Washington and the rest of the country. In 1898, South Dakota became the first state in the Union to allow the voters to petition their government by using ballot measures to shape public policy. Now, 24 states have some form of an initiated measure process where the citizens can legislate when they feel their elected officials will not. After years of inaction, both in Washington and in Pierre, the people of South Dakota overwhelmingly passed a ballot measure to raise the minimum wage $1.25, from $7.25 to $8.50, with a cost of living allowance – end-running a state legislature too beholden to special interests and their lobbyists. Contrary to the propaganda at the time, the sky didn’t fall, unemployment didn’t escalate and businesses didn’t close their doors. Unemployment in South Dakota remains among the lowest in the nation. When our state consistently ranks in the top five of states most at risk of corruption; when scandals like EB-5 and Gear-Up destroy confidence in our elected leaders and government by squandering hundreds of millions of dollars; when sweetheart government contracts, suicides, murders, lawsuits and felony charges dominate our daily news and coffee talk, then it is time for reform. 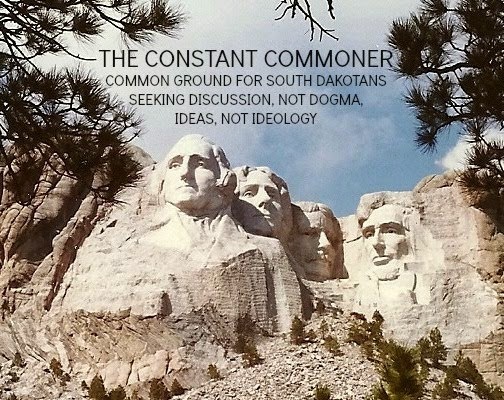 Recently, in a New York Times article entitled, “Can the States Save Democracy?” South Dakota was singled out as the “hotbed of political reform” citing three ballot measure efforts on “gerrymander reform, clean money and a proposed nonpartisan primary.” Like 1898, South Dakota in 2016 can show the rest of the nation the way forward by passing a “trifecta of reform” and starting a political reform movement to take our country back from the ‘big money” special interests and the hyper-partisanship that is destroying it. South Dakota’s chance to lead and save our democracy starts by voting yes and passing Amendments T - V – and Initiated Measure 22. Amendment T establishes an independent redistricting commission where the legislative districts will be drawn by honest brokers, not partisan politicians. The voters should get to choose their office holders, not the other way around. The gerrymandering that has occurred as a result of partisan politics has contributed to the government dysfunction and gridlock we are experiencing today – and it is threatening our democracy. Amendment V establishes nonpartisan elections for all offices, with the exception of President, where the voters get to vote for the person, not the party. Just like we do for mayor, city council and school board elections, the election becomes more of a contest of ideas then a meaningless debate of political party propaganda. Registered Independents make up 40% of the registered voters in the country, more then either the Democrats or Republicans, and yet they can’t vote in most primary elections. We have 113,000 registered Independents, 21% of the registered voters who can’t fully participate in the South Dakota June Primary. No one should have to pledge allegiance to a political party to exercise their right to vote – period! Initiated Measure 22 fights government corruption, restores accountability and reforms campaign finance laws; it shines a bright light on the special interests and their lobbyists; it establishes an ethics commission with subpoena powers and authority to investigate, and it creates a voluntary incentive for voters to contribute up to $100 of their own tax dollars to qualifying candidates. That amounts to about .1% of the annual state budget. Let’s be honest – there are no checks and balances in our state government. One party rule has lead to government corruption, lost taxpayer money, tragedy and a loss of confidence. Don’t let the special interests win another election by convincing you the sky is falling and the end of the world is at hand. It is time to join a growing coalition of Republicans, Democrats and Independents dedicated to reforming our politics and taking our country back! The November election presents a real opportunity to tell Pierre, Washington and the rest of the country that we have had enough of partisan gridlock and special interest government. Vote yes on T – V – 22! 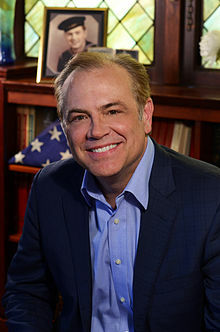 Rick Weiland is a small business owner, former United States Senate candidate and co-founder of TakeItBack.Org, a nonpartisan nonprofit focused on reforming our political system. My Column In Today's Rapid City Journal. This Blog Version Includes Linkage. Trump's "hardening/softening" rhetoric on his immigration plans is a masterpiece of political vacillation. He makes Hamlet seem resolute. One day he's "bad cop," next day he's "good cop," then the next day after that Trump is "I don't know" cop. As residents of a state that is deeply steeped in the agriculture industry, which nationally draws much of its labor force from Hispanic immigrants, we have reason to be frustrated by Trump's inability to articulate a clear plan about how to deal with undocumented aliens. Last year Pew Research concluded that 26% of this country's farming, fishing and forestry labor force consists of "unauthorized aliens," a number that should sober up a lot Donald Trump's rabid supporters, eagerly anticipating the "deportation force" he promised during the primaries. Aware of this reality, SD GOP Congresswoman Kristi Noem, a Trump supporter, told a Rapid City crowd last week that "we're a country of immigrants." She added that we have to consider "how important those workers are to the agriculture business." The American Farm Bureau Federation agrees unequivocally, noting that foreign farm workers do not take jobs from Americans, but actually create American jobs (by a ratio of 1;3) when totting up the numbers of jobs in value-added industries, marketing, retailing and so on. The AFBF supports "earned legal status for experienced, but unauthorized, agricultural workers." Considering that about half the two million crop workers in the United States (per the Dept. of Agriculture) are unauthorized workers, the "overwhelming majority" coming from Mexico, the idea of systematically rounding up these folks and deporting them is a non-starter. The resulting chaos in agricultural production would be monumental. The Farm Bureau's call for "earned legal status" certainly leaves room for interpretation as to how that status can be earned, but I read it as a reasonable approach to creating a pathway for documentation or citizenship while still residing in the United States and continuing to do the ultra-important work of crop production. Realistically, there doesn't seem to be a more practical way. Yet Trump, in his Phoenix tirade last week, stated unequivocally, that "anyone who has entered the United States illegally is subject to deportation." A year ago, while coalescing his enthusiastic following, he told NBC that he was immovable on this: "We will keep families together, but they have to go" he said. "They have to go . . . we will work with them, but they have to go, Chuck. We either have a country or we don't have a country." Now that reality has intruded, the back-off from that hard-line position has exposed Trump as being either ignorant or a liar--or just a shameless political showman. Yesterday a once-great New York Mayor who has devolved into a political sock-puppet, Rudy Giuliani, told CNN that Trump no longer wants "mass deportations." In other words, Rudy confirmed that Donald Trump can not be trusted. As common a failing as that is among the political class, in this case it makes the leap from rhetoric to reality. Families are in limbo and farmers are left wondering about the status of their labor force. Note: Today marks the 49th anniversary of the battle of Dong Ha, Vietnam, a tough episode during my tour as a Marine there in 1967. I went back to the country in 2009 and wrote a 3-part piece about it for the Rapid City Weekly News (sadly no longer in print). This is part 2, which begins as my small group of Marine vets were heading south from where we did our fighting. Titled "Modern Problems In An Ancient Land," it begins with something of a sense of relief: As we often sang back in the day, we gotta get outta this place. And get outta there we did. The ride south to Hue followed Route 1. As expected, it turned out to be a set-piece demonstration of the problems that Vietnam will encounter in its drive to the modernization of its rural regions. Though in generally good repair, the two-lane road was clogged with traffic, creating huge bottlenecks in this, the narrowest region of Vietnam, where the distance between the coast of the South China Sea and the Laotian border is 35 miles. Retired Marine Col. Chuck Meadows at what came to be known as “Meadows Corner," near the Citadel in Hue in 2009. John Tsitrian is across the street. Photos courtesy Chuck Meadows Moving freight and people from the population hubs of Saigon, Da Nang, and Hue in the south of the country to the big metropolises of Hanoi and Haiphong to the north has got to be a daunting challenge, especially considering that there’s only one rail line adjacent to Route 1. With the free flow of people, goods and services so severely hampered, even a relatively small country like Vietnam is forced into essentially local economic zones without the natural growth that comes from the easy transfer of products and people from one region to another. For tourists, of course, the upside of a slow-going trip like this is the chance to see day-to-day life in the hamlets along the way, which in Vietnam means seeing hordes of people at outdoor markets, military installations at virtually every ville, farmers tending their rice paddies -- sometimes using human power to pull plows whenever the otherwise ubiquitous water buffaloes aren’t present. The shops are plentiful; the shopkeepers, aggressive. Our small group ignited a near riot on a hillside road when a group of merchants spotted one of our party buying something, causing a convergence of vendors who were literally smacking us on the arms with merchandise, grabbing at us, tapping us about the arms and shoulders and generally chattering and offering deals on trinkets, postcards, clothing, you name it. We scrambled back into our van and scooted. At another stop, when I made it clear to a lady that I wasn’t interested in buying anything she coyly offered me a foot massage, which I later learned was local code for services of a more intimate nature. My favorite of these stops was at a live pig market, where farmers brought 35-40 pound piglets in to sell to local families, who would buy the pigs for about 50 cents a pound then take them home to fatten, feeding them rice, mantioc and bananas -- which I found encouraging, considering that during the war all I ever saw the local pigs eat was garbage. The pigs themselves -- as they did all over Vietnam -- looked like garden-variety pink animals, not those exotic Vietnamese pot-bellied pigs you see in places around the United States, which made me wonder if shrewd marketers aren’t taking advantage of American pig fanciers. Besides pigs, the hamlets are rife with chickens, running around all over the place -- a feature that’s also common in the larger cities. In fact, it was the absence of chickens that got the attention of my traveling companion Col. Meadows, who in 1968 was the commander of a Marine infantry company near Hue. The Tet Offensive, a huge drive by the North Vietnamese to infiltrate and occupy American and South Vietnamese cities and installations in February of that year, was underway. His G Company of the Fifth Marines was ordered to truck into Hue in response to reports of a local disturbance. Meadows and his men had no idea what to expect, but he tells me that as soon as they crossed a bridge into the city he noticed that the streets were empty of people and -- more tellingly -- of chickens. He realized that something serious was developing. Moments later, his company “was shot out of our trucks” by a vicious fusillade of automatic weapons fire. The storied recapture of Hue by the United States Marines had begun. G Company was ordered to advance to the city’s ancient Citadel, moving house by house, street by street -- eventually getting as far as what is now known in Marine Corps circles as “Meadows Corner,” where his company, having lost about a third of its men, was stymied, just blocks away from one of the main entrances to the Citadel. G Company, along with other units of the 5th Marine and other regiments, fought in the streets of Hue for another month before finally routing the enemy. According to Meadows, the experiences and notations of the fight for Hue have been encoded into Marine Corps fighting manuals and were recently put to use by the Marines who took Fallujah in Iraq. As to the city of Hue itself, its beauty and historic value remain undiminished, with the Citadel, the site of the Imperial Capital in ancient times, undergoing a thorough and much-needed restoration, much of it funded by the United Nations. The beauty of the city and its riverfront -- the Perfume is the name of the river -- have turned it into something of a Mecca for international tourists, with many a war-ravaged block now undergoing a complete transformation into a gorgeous and pricey high-rise hotel or business complex. That ancient streets and long-standing buildings and businesses are adjacent to the new developments only makes the city more inviting -- and the tourists are responding. Same goes for points farther south, mainly Da Nang, where the war’s imprint was huge, considering the size and reach of the U.S. military installations there. The waterfront districts of Da Nang are crowded with high-rise 4- and 5-star hotels, lovely promenades, exotic restaurants, fancy shops, local markets, beautiful beaches -- all the amenities of a world-class resort, which the city has become. I met tourists from numerous European countries and Australia, all of them marveling about the beauty and the value. I have no doubt that when Air Vietnam begins its non-stop service to California in 2010 that Americans will join the parade. The place is certainly a bargain by comparison to European locales, with a lovely 4-star room available for less than $100, in some cases much less. That comes with a knockout breakfast containing all the traditional American breakfast fare and the wonderful Vietnamese dishes you’d expect, like pho soup (vegetables, rice noodles, broth, some meat) several varieties of fried rice, steamed vegetables, raw tropical fruit, sweet rolls, outstanding coffee -- good and strong, no bitter aftertaste, I mean, delicious -- tea, juices, in short, enough to carry you through most of the day. Meals in local restaurants are generally between $5-$10, with drinks like beer, water and soda pop running about a buck. Harder liquor will set you back anywhere from $2-$5 a shot. I tried the locally produced libations and found them too different to suit my tastes. Vietnamese vodka made from rice is sweet, almost more like rice wine. Vietnamese rum -- probably produced from the plentiful sugar cane grown throughout the region -- is tasty but watery. The red wine bottled in Da Lat is thin. The beer, however, is outstanding. Apparently some joint ventures with European breweries (Carlsberg from Denmark is a partner of Halida Beer in Hanoi) have brought old country techniques into the industry and have created a very palatable array of Vietnamese brands. As to the values in the local markets, they seem pretty good to me. As you can imagine, there’s plenty of silk merchandise for sale, with custom-tailored men’s shirts readily available for less than $10. A silk nightie and robe set runs about $10, cashmere and silk scarves are less than $5. Ceramic items like ashtrays and statuettes are generally $5 or less. Onyx items are plentiful and cheap. An apple that’s the size of, well, an apple, will run $10 or less. There’s plenty of marble at the aptly named Marble Mountain in Da Nang, with beautifully sculpted statues running at less than $1000, including shipping back to the States. Overall, Vietnam seems like a very affordable place. An Australian gent I met in Hue told me that coming to Vietnam is a much better deal for Australians than going to Bali - and certainly far less risky considering the political tenor of Muslim Indonesia. There isn’t much in the way of religious or political extremism in Vietnam, where Buddhism and its live and let live philosophy is the prevailing faith and the restraints of a one-party political system have managed to keep anti-social behavior in check. People seem focused on their personal affairs and aspirations and, if not effusively friendly, are social enough. There certainly seems to be no lingering animosity toward Americans, although my companions who’ve been back to Vietnam numerous times tell me that there are still lingering traces of resentment in the south toward Americans for pulling out as abruptly as they did. Many South Vietnamese thought the American involvement and presence were open-ended enough for them to make life commitments that cost them dearly after the United States pulled out and the North Vietnamese swamped the South a few years later. Those of us old enough to remember the desperation of the “boat people” who escaped Vietnam after the North took over can understand that attitude. Fear was rampant and retribution swift. Now, three decades later, the bad taste seems to have gone away, at least in Vietnam. For the United States it’s a different matter, as memories and opinions about that war continue to divide us. If there’s a consensus, it’s probably that the war in Vietnam was the defining screw-up of my generation. I doubt that we’ll ever get over it, but as the Vietnamese themselves seem to be anxious to reach out to us in friendship, some reciprocation may be the catalyst for better things to come. Making peace with the Vietnamese, united under the government of Hanoi, may be just another way to make peace with ourselves.